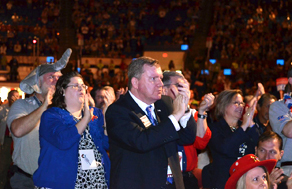 The nation's largest gathering of Republicans, the State Convention of the Republican Party of Texas (RPT), kicked off today in Fort Worth Texas with bagpipes blaring, patriotic songs, pledges to the flags of the United States of America and the great state of Texas, and inspiring speeches. 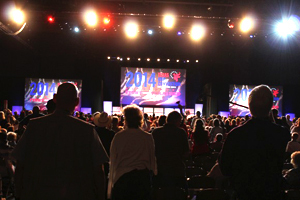 RPT Chairman Steve Munisteri opened the convention followed shortly by speeches from the longest serving governor in the nation, Governor Rick Perry and our resolute Attorney General, Greg Abbott. Munisteri set the theme of Take Back Our County with a pure red meat speech about the failures of the Obama Administration, the great things being done in Texas and a committment for Texas to lead the way for defeating the President in November. 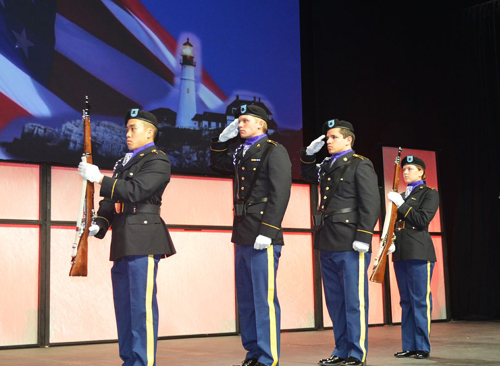 After an emotional video introduction, Governor Rick Perry proudly marched onto the RPT stage for his forth time as governor. Having been at three of these four appearances, I can say this was by far the warmest reception for Perry, having returned from a failed attempt to run for President earlier this year. Perry told the crowd, "Being the front runner for the nomination for the highest office in the land was the most exciting three days of my life!" 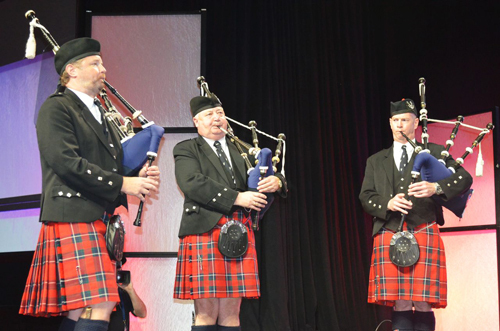 The audience responded with warm laughter and a standing ovation. He said he learned that $20 million won't necessarily buy you any delegates, but it certainly buys a great tour of this country. 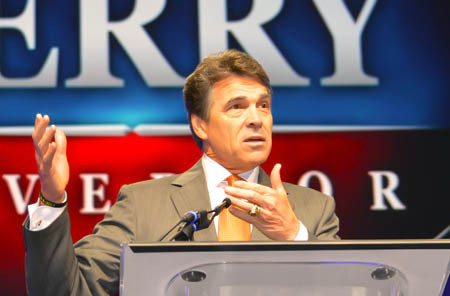 Perry continued to talk about Obama's record, the record of Texas and what we must do to defeat Obama by electing Mitt Romney. 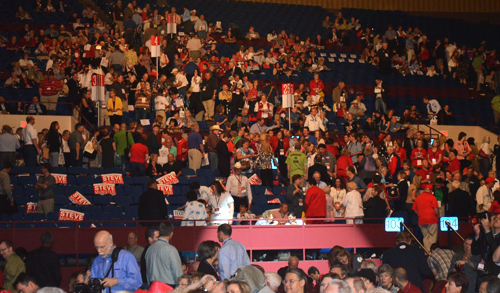 Perry thanked his team and talked about all the great things that have happened since the last RPT Convention. This included electing the super majority in the Texas House, passing the State Rep Sid Miller's Sonogram Bill into law and passing voter ID for Texas. Perhaps surprisingly, when Perry mentioned his support for Lt. Gov. 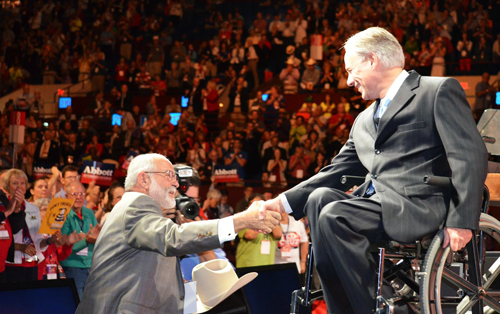 David Dewhurst, over half of the crowd expressed their displeasure for the Lt. Gov. with a very loud boo. This could be a strong fortelling of the outcome of the July runoff between Dewhurst and his opponent former Texas Solicitor General Ted Cruz. Perry talked about the amazing opportunity of Texas and this nation - how a son of a dirt farmer could rise to the office of Governor of Texas and run for President of the United States. He ended his speech giving credit to God for his successes and reading the words from the hymm, "How Great Thou Art". 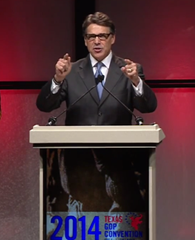 Perry was followed to the stage by an equally resounding ovation for the great Attorney General of Texas, Greg Abbott. Abbott delivered a speech about his dealings with the federal government. 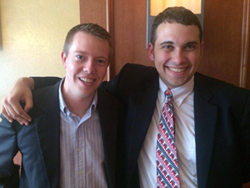 Abbott said when he is asked what the Attorney General of Texas does, he said "I have a very simple job. I go to work, I sue the federal government. I go home". Unfortunately, because of the fed's "war on Texas" that has much more truth in it than fiction. 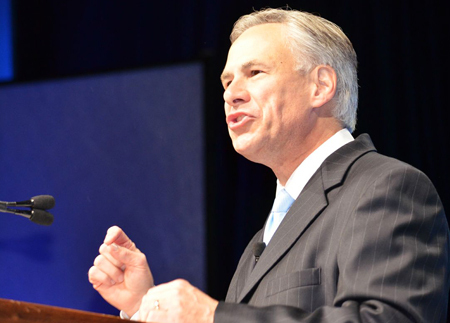 Abbott has led the fight to defend our voter ID law, the Sonogram Bill, and Texas redistricting laws. He has also led the attack against Obamacare, taking the fight to the Supreme Court of the US as he has done with the EPA and its efforts to shutdown job creation in Texas. Abbott jokingly said that all Republicans who are pledging to get rid of Obamacare are making false campaign promises as the case he helped bring before the Supreme Court will lead to the elimination of this unconstitutional law later this year. Both Perry and Abbott criticized Obama and AG Eric Holder for allowing guns from the US to be sold into Mexico under Operation Fast and Furious. This wreckless action led directly to the death of US Border Patrol Agent Brian Terry in December 2010. 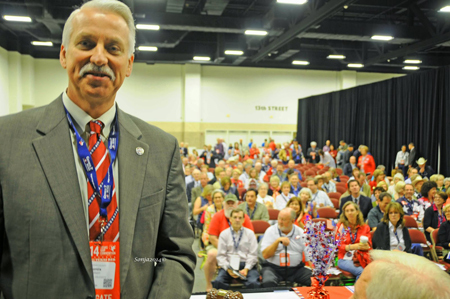 While this morning marked the opening session of the official convention, delegates have been hard a work all week serving on many of the temporary committees including, but not limited to the Rules, Platform and Credentials Committees. These people put in tremendous hours working for us to prepare the rules of the convention and the party platform that will be voted on this weekend. Last night I stopped into the Platform Committee as they were wrapping up their hard work. 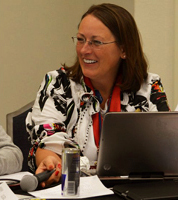 I had the opportunity to see what will be a great proposed platform for the delegates to work on. 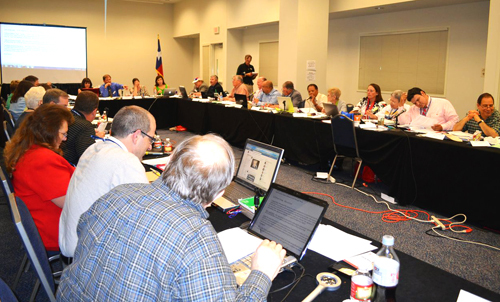 It was great to see two of my fellow TexasGOPVote bloggers, Mark Ramsey and Beverly Nuckols working in this importany capacity for the RPT. This is shaping up to be a great convention. 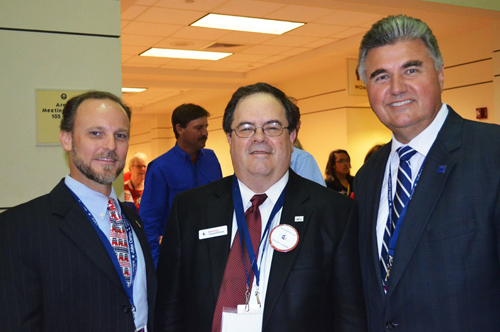 Texans from a wide variety of backgrounds and opinions are coming together in agreement on some amazing topics. People who have been opposed to each other for years on some issues have found a path along which to move forward. 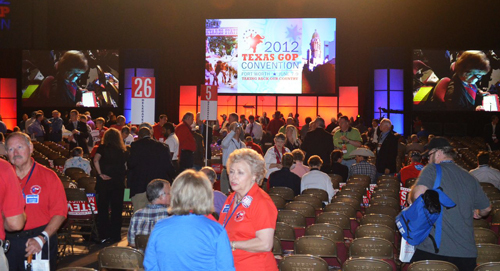 This is an exciting time for Texas Republicans, and I will continue to bring you information from the convention floor.